This new Limited Edition will be available in the United Kingdom right after launch and on the following days across Habanos’ major markets around the world. 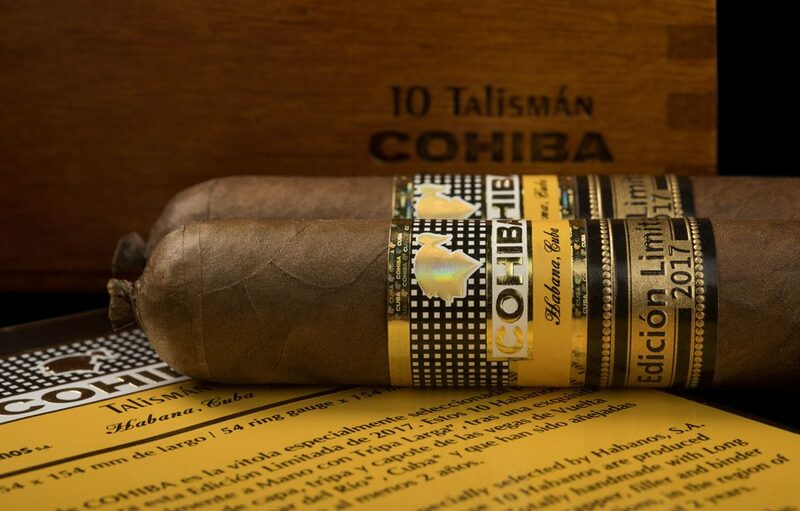 The Cohiba Talismán 2017 Limited Edition’s meticulous creation and development processes are carried out at the legendary El Laguito factory, in Havana. 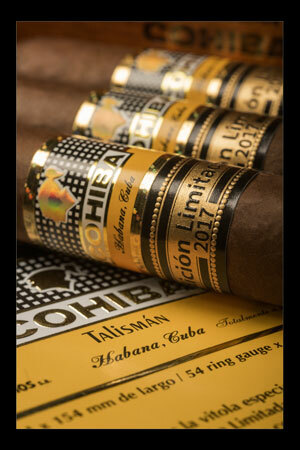 Habanos, S.A. will hold along with Hunters and Frankau, an exclusive presentation of the Cohiba Talismán 2017 Limited Edition at the Corinthia Hotel in London, an unprecedented vitola in the Habanos portfolio, conceived especially for the world’s best premium cigars lovers. All the Habanos of this Edición Limitada – Limited Edition have been made ​​” Totalmente a Mano con Tripa Larga ” – Totally by Hand with Long Filler – and their leaves are specially selected from the Vuelta Abajo * region in Pinar del Río *, Cuba*, the best land in the world for growing tobacco. This product is produced and developed following meticulous manufacturing processes at the legendary El Laguito factory, in Havana. 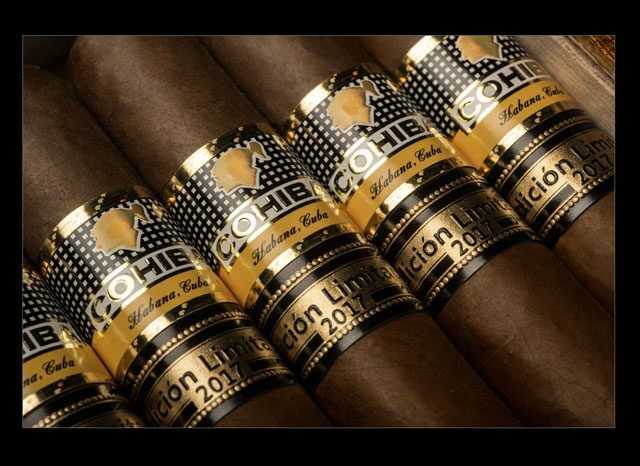 The Cohiba name comes from the first original inhabitants of the island of Cuba, the Taíno Indians, who used this ancient word to define the rolled tobacco leaves that they smoked and that Christopher Columbus first saw in Cuba in 1492. The Talismán name, mysterious, evocative and easily-recognizable in many languages as something that is quintessentially extraordinary and amazing and that brings good luck to mankind and protects them, couples up perfectly with tobacco’s magical and ritualistic origin, whose first-ever moniker was, incidentally, Cohiba. 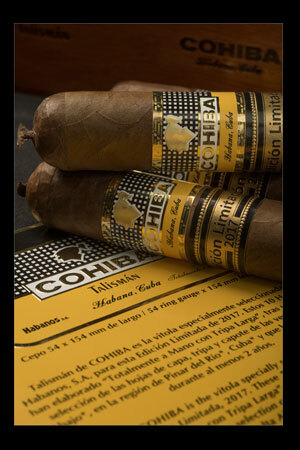 Cohiba Talismán (54 ring gauge x 154 mm length) is a heavy ring gauge Habano, in line with the brand’s latest launches and is distinguished by a medium to full strength flavour, characteristic of the Línea Clásica blend and which stands out for its elegant and charismatic “pigtail” finish. This Limited Edition’s leaves have been aged for over two years, awarding this extraordinary Habano a complex and highly aromatic character. With a history of more than 50 years, Cohiba is the most prestigious brand in the world of tobacco since its commercialization in 1982. Initially produced in very limited quantities, today its products can be found on display at all Habanos stores around the world to be enjoyed by the most demanding Habanos enthusiasts. 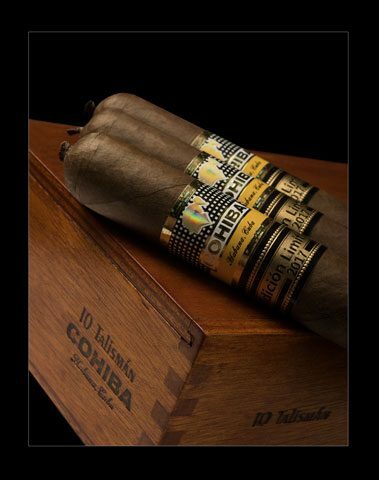 To commemorate its 50thanniversary , Habanos, S.A. recently presented its special edition Cohiba 50 Aniversario(60 ring gauge x 178 mm length), one of the most exclusive and luxurious releases in the history of Habanos, Cohiba Majestuosos 1966 (58 ring gauge x 150 mm length), with a totally innovative vitola addition to the Habanos portfolio and the Cohiba Medio Siglo(52 ring gauge x 102 mm length) , with its new vitola in line with current trends and which joins the regular portfolio as part of the Línea 1492. For the global launch of the Cohiba Talismán 2017 Limited Edition Hunters & Frankau Ltd. have chosen the Garden Lounge venue at the Corinthia Hotel, one of London’s most prestigious hotels and renowned for its iconic Cigar Terrace that specialises in Habanos. The event is scheduled to take place on November 7th and the evening promises to be full of surprises for those lucky enough to attend this exclusive event.